Ever since the introduction of the original iPad in 2010, the tablet market has been experiencing tremendous year-on-year growth. Of course, a lot has changed in three years – today’s devices feature blazing fast processors, more storage and high-resolution displays. But what is the best tablet in the market today? We will try to answer this question and help you make a good decision. Amazon’s latest tablet is a step up from the previous Kindle Fire HD in every aspect, although it doesn’t bring anything revolutionary to the table. At the price of around US$229 / £199 it is one of the cheapest tablets on our list, but that doesn’t take away from its design or performance. It comes equipped with a 7-inch display that boasts a great resolution of 1920 x 1200p. Under the hood is a 2.2GHz quad-core processor and 2GB of RAM, which is more than enough to handle the latest games, video and multi-tasking. 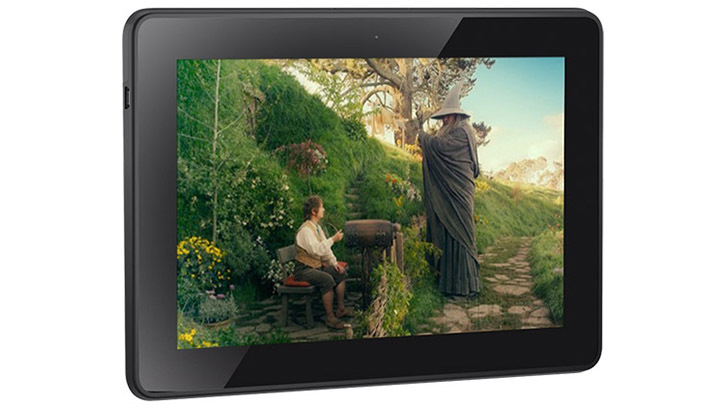 At 0.67 pounds (303 grams), the tablet is also notably lighter than its predecessor. Of course, with all of these great components Amazon had to make some compromises, and one of them is the absence of a rear-facing camera, which may be annoying to some people. Overall, if you’re just buying your first tablet, Amazon’s latest offering is without a doubt a product to consider – it’s fast, reliable and easy to use.